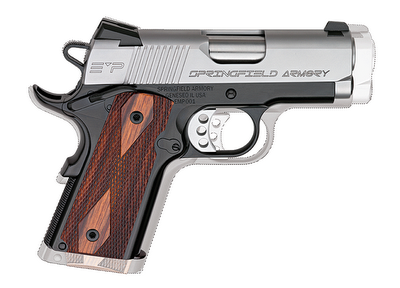 Springfield EMP (Enhanced Micro-Pistol) in 9mm. It is no secret that I am a fan of the 1911 platform. The fourth handgun I ever purchased was a brand spankin’ new nickel-plated Series 70 Colt Government Model. Like most guns I have owned that one eventually left my home and was sold to a Cook County, Illinois Corrections Officer at a time when I was having a hard time meeting the rent payment. Several years later I replaced it with a Colt Combat Elite and that one eventually left when I was having trouble making a mortgage payment. Fast Forward to 2003 when I was bitten by the Kimber bug. In a few short years 5 Kimbers, 2 Springfields, and a Paraordnance 1911 have all come and gone. My current favorite is the Taurus PT1911, an economical, utterly reliable, and amazingly accurate Government sized 1911. In early 2006 Kimber released the smallest 1911 ever made (by their account) named the Aegis II. Then, in late 2006 Springfield countered by releasing the EMP (enhanced micro pistol). Suddenly Kimber lost the mantel of “smallest 1911 ever made”. 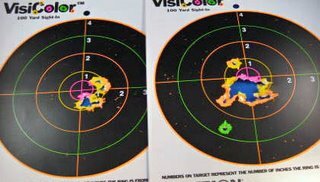 The EMP was obviously aimed at the same concealed carry customer that Kimber was courting with the Aegis. Let’s first examine the Kimber Aegis II. 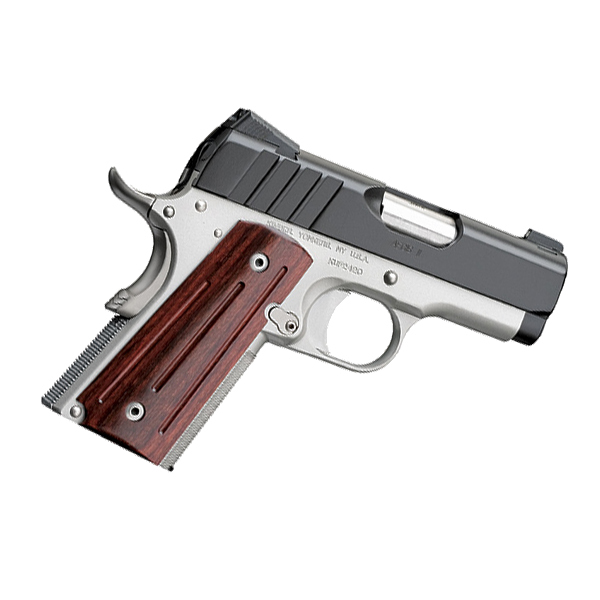 This is a finely made 1911 on their Ultra Carry frame and chambered for the 9mm cartridge. The Aegis sported night sights, very slim grips, and a hammer that had the spur completely bobbed off. This last feature always bothered me. The pistol had a beaver tail grip safety to protect the web of your hand from being bitten by the hammer spur, but…there was no spur. Also, once the hammer was cocked you could not easily uncock it. Normally you would put your thumb on the hammer spur, gently pull the trigger and ride the hammer down with your thumb. The only way I could release the hammer on the Aegis was to place the thumb of my non-shooting hand between the hammer and frame and pull the trigger allowing the hammer to pinch my thumb and then slowly pull my thumb out, allowing the hammer to gently fall into place. Aside from the hammer, there were other improvements that Springfield made over the Aegis.  The 1911 was originally designed specifically for the .45 ACP cartridge and after WWII when Colt decided to offer it in other calibers they merely changed the barrel and magazine otherwise the pistol maintained its original dimensions. 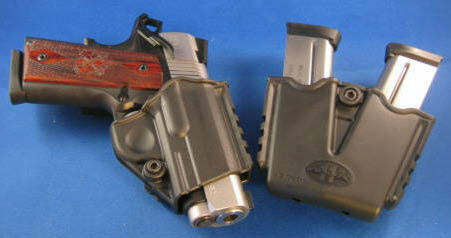 The 9mm Kimber Aegis II was also manufactured on the same frame as their .45 ACP. Springfield, on the other hand, decided to utilize the 1911 platform, but completely redesign the pistol around the 9mm cartridge which is smaller than a .45 ACP. The result is a smaller and thinner pistol. It is only slightly larger than my Walther PPKS .380 pistol. Another great feature, in my opinion, is that Springfield was able to squeeze 9 rounds into the magazine giving a full capacity of 10 rounds (9 + 1 when the chamber is loaded). The Aegis holds one round less. The only thing on the Aegis that I miss is checkering on the front grip strap. For some reason Springfield did not see fit to checker this area of the pistol and as this is a small, relatively light-weight pistol I think checkering would be an aid in maintaining a consistent grip on follow up shots. I also really like the things Springfield adds to the package. With a Kimber you get one pistol which contains one magazine. I was pleasantly surprised to see not one, but three magazines in the pistol case along with a Kydex holster and a Kydex magazine carrier for the two extra magazines. As a traditionalist I am not a Kydex fan and would much prefer leather, but it was damn nice of Springfield to include these accessories. On the day I picked up the Springfield I had the opportunity to put about 30 rounds through it. Felt recoil was negligible. 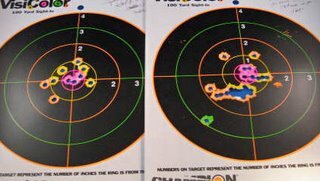 I did encounter one failure to feed and on two occasions the hammer did not lock in the open position after firing the last round in the magazine. 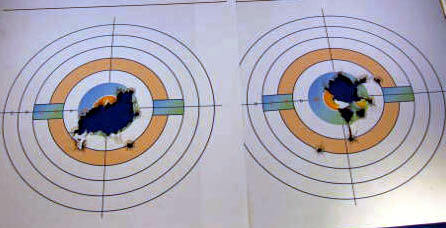 Yesterday when I went to the range I took 400 rounds of ammunition 150 of which were premium defensive hollow points. 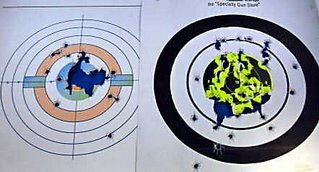 I was interested to see how the EMP functioned with the latter after reading on several chat boards that the EMP did not feed hollow points. Upon arriving at the Impact Guns range I began the session with the hollow point ammunition. I have to say that I was initially appalled at what was happening. The EMP absolutely refused to chamber the hollow points from three different manufacturers. Perplexed, I switched to full ball ammo and, although it fed, the slide would not lock back and I encountered many, many failures to eject. Although it was superbly accurate, it was utterly Unreliable! I sat down with a rather sick feeling in my stomach caused by the notion that I was holding a very expensive paperweight in my hand, rather than a highly reliable concealed weapon. Then, it dawned on me. All finely tuned 1911’s require a break-in period, usually around 200 rounds (Kimber recommended 700 for the Aegis II and I recall it took almost 1,000 rounds to properly break-in the Kimber Raptor). 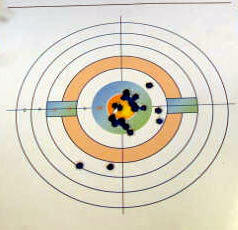 With some trepidation, I went back to the full ball ammo and shot away. It seemed to get better and miraculously, at about round 200 it all came together. The slide was locking back when the magazine was empty and the pistol was chambering and ejecting the ammo. I then went back to the hollowpoint ammo and it fired without a hitch! I like the EMP a lot, and a lot more than the Aegis…which is a good thing as I traded-in the Aegis on the EMP.